We are pleased to have worked with Amot to Model and Animate there latest RigSaver product. The RigSaver is a large industrial valve created for use on oil rigs. Our animation shows how the Rigsaver valve looks, with a 360 3d spin and also how the two main body and cover parts separate. We then demonstrate how the valve handle and switch turn to close the valve and allow for manual opening. The animation also showcases how their latest product re-design now allows several key components to be easily removed and replaced after a set period of use cycles. We modelled and animated the production using our 3D tool of choice, which is Lightwave 3D by Newtek. We then rendered it out and used Adobe After Effects to create the final colours and effects. We also created the lower thirds and other motion graphic overlays and text in post production before creating a final export. 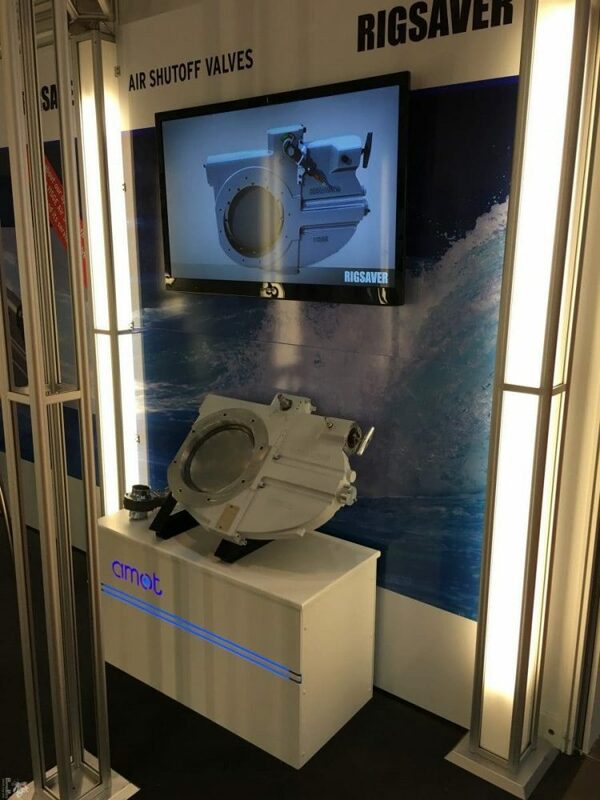 Here is a photo taken by our client from their trade show stand.